Hip-hop legend Kool Herc mixed records in the community center of this building. 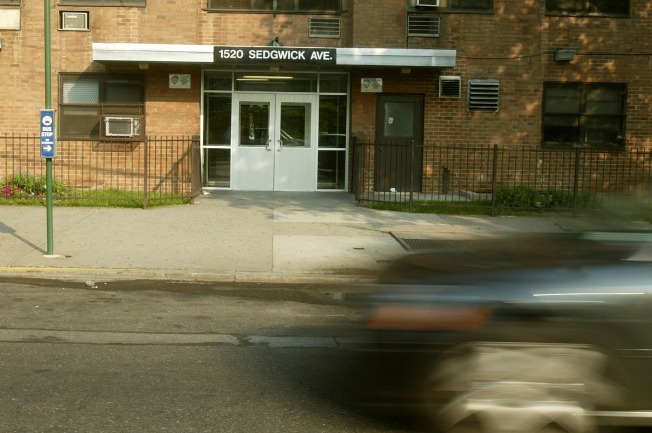 For what its worth Sen. Charles Schumer recognized the building at 1520 Sedgwick Ave. in the Bronx as the birthplace of hip hop culture. The story, shrouded in the mists of time and myth now, goes that it was DJ Kool Herc who started mixing funk and soul and "invented" hip hip in the community room of the building in 1973 while playing music at his sister's birthday party. In movie biopics, there's usually some eureka moment — a "you got your chocolate in my peanut butter" occurrence — when a new form is invented. In life, things don't usually go down quite so simply. This is where the latest in the debate over which borough is the real birthplace of hip hop comes in: Two childhood friends from Queens, Hasan Pore and Ron “Amen-Ra” Lawrence, played block parties and parks around the same time Herc mixed records in the rec room at 1520 Sedgwick and have now made a documentary called "Founding Fathers" to tell their side of the hip hop creation story. nobody is trying to take anything away from Kool Herc, and the film draws DJs from Brooklyn into the scene as well; they just want to tell a more complete story of what was happening in local music culture at the time. A full interview with the filmmakers and clips can be found here. The story gets further complicated by the fact that residents of 1520 Sedgwick want to get landmark status for the building to thwart a a plan to bring the rents (long stabilized) up to market rates. And that's where Chuck Schumer becomes embroiled int he birth of hip hop confusion. He announced in January for a purchase plan along with Kool Herc to keep the historic building as affordable housing. Doubtless he really digs Herc, as well.